No face mask or ubiquitous smartphone for this old fella. Instead, it was just pinstripes, a trilby and total indifference. Yeah, he certainly suits those pinstripes. The hat too. A very distinctive look for sure. Quite a difference eh? That’s what swung it for me. Pinstripe man is genuinely interesting, but that reflection makes the shot, or at the very least gives it a different dimension. Ah, only familiar with the name, so will have to look into that for the similarities. Well, admittedly, it’s a stretch, but John Wick wears a three piece suit, and the last film had a climactic fight on a subway car. 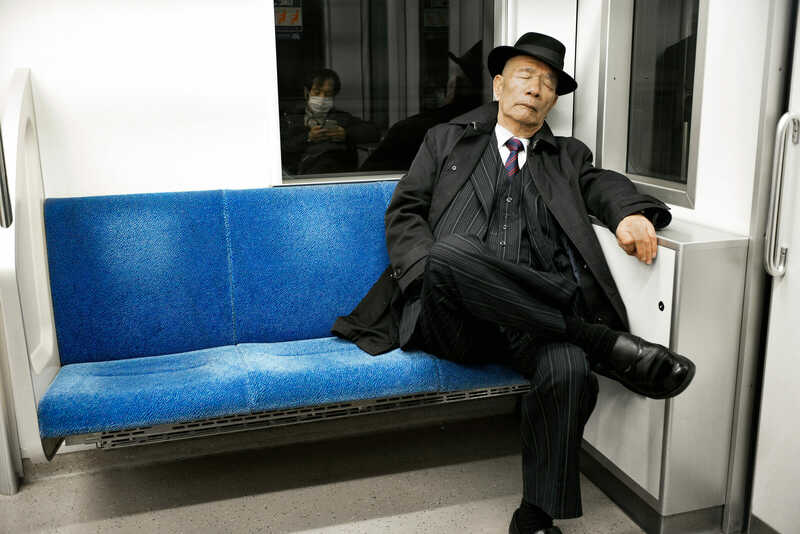 Old John Wick is now sleepy after so much fighting. That sounds close enough to me! I know eh? It’s possible I suppose that he had the same look when he was half his current age, but either way, it’s one that he definitely suits.